Auckland, 30 August 2014 - ​Brent McGregor, Senior Managing Director of CBRE New Zealand, says that the recent volume of major Auckland office building sales is likely to find a new course, due to a number of factors. The announcement last week of the sale of AECOM House on the fringe of the Auckland CBD means that McGregor has been involved in the sale of more than $500 million of commercial property this year alone. McGregor says that he anticipates the number of major Auckland office deals to slow and investment capital to move in a new direction towards the end of 2014. Sold to underlying landowner Ngāti Whātua Ōrākei Whai Rawa Limited, AECOM House is the latest in a line of recent major transactions. CBRE was also behind the sale of the former National Bank Centre at 205 Queen Street, which was sold for $103 million. 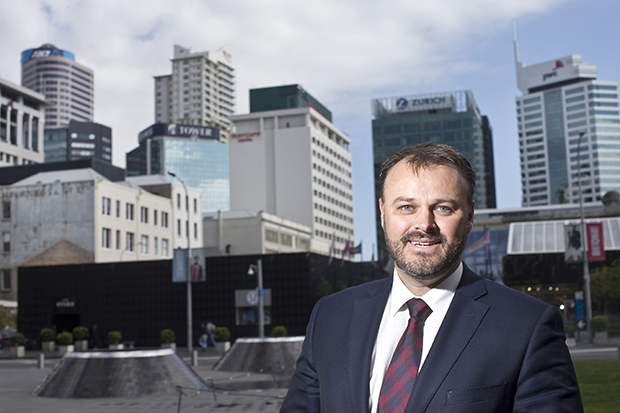 The $84 million sale of Chorus House on Wyndham Street in Auckland’s CBD was announced in May, in a deal brokered by McGregor, Warren Hutt and CBRE’s Christchurch Managing Director Mark Macauley to a private Christchurch-based investor. In mid-July, through CBRE, noted Wellington property investor Caniwi Capital acquired a portfolio of six Inghams Enterprises chicken farming properties for $57 million from the private equity owners. The properties include four breeder farms, a hatchery and a processing plant, all in the Waikato region. Other big sales that have made news in the market include the April sale of 125 Queen Street for $57 million, and the latest news, of the confirmation by Dexus Property Group on 14 August that it has sold the Lumley Centre at 88 Shortland Street in Auckland to German pension fund Deka Immobilien Investment GmbH for circa7% yield at $146 million, subject to OIO approval. To bring this German purchaser to New Zealand, CBRE’s local team worked together with their Sydney-based International Investments team, led by Rick Butler. “Much has been written recently about the attractiveness of New Zealand property to overseas investors,” says McGregor. “While some of the press hits the nail on the head, with a net $188 million inflow of foreign funds into New Zealand property in the first half of 2014 as New Zealand yields are undeniably attractive to European and Asia-Pacific institutions, it’s worth remembering that many local investors are active too. McGregor says that AECOM House can in many ways be seen as a case study of some of the current market threads: the link between increasing development and investment sales. McGregor says that the buoyancy of the development market is evident. “Towards the end of 2016 we expect the completion of over 85,000sqm of newly built and substantially refurbished office space. These projects – which include new campus-style fringe CBD office premises such as Manson’s new 18,600sqm building on Victoria St, and Fonterra’s new head office in Wynyard Quarter – will fill a number of market niches. “Wynyard Quarter is becoming a major focus for new office supply. Aside from the Fonterra building, an additional four projects are expected to add over 20,000sqm by the end of 2016 to Wynyard Quarter’s office stock. Unlike the large campus style buildings, some of these new Wynyard premises will offer occupancy options for smaller to medium sized occupiers, some of it in “character” style premises. McGregor says that another market niche being filled by new supply is core CBD refurbished secondary buildings. For example, the refurbishments of 125 Queen St and potentially 22 Fanshawe St will bring on the market about 25,000sqm of good quality occupancy options in 2015 for those seeking Core CBD tower style office space. However, it is not all new development from scratch says McGregor, as investor interest is being driven as much by yields as by office buildings being converted to apartments. One prominent building undergoing such a transformation is the former Telecom headquarters building at 8 Hereford St in Freemans Bay. Bought by the Tawera Group, an award-winning developer. A significant number of the 121 apartments now being planned in the new Hereford Residences development have been pre-sold, leading to more than 10,000sqm of B grade office floor area being withdrawn from office stock. “All this conversion work is undoubtedly putting pressure on existing stock and thus on vacancy, which is already low in Auckland. 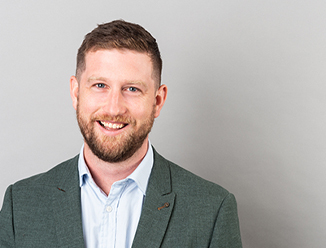 McGregor says that Ryan Johnson, CBRE’s Wellington Managing Director, has recently returned from a visit to Singapore, where interest in New Zealand commercial property continues to be strong. As for the outlook for deals in Wellington in the second half of the year, Johnson says that the interest being shown is translating into activity already, as his office is currently working on ten different, mainly sole agency, campaigns at the moment totally around $225 million. Furthermore, in Christchurch, a fully leased five storey office building redevelopment has recently come up for sale at 104 Victoria Street, marketed by Macauley. The property occupies a net lettable area of approximately 3,473sqm with typical floor plates of 676sqm. The building has four floors of office accommodation tenanted by California-based logistics software company Telogis and the ground floor contains a Tony Astle restaurant and boutique gym.